Terms of service and cookie policies often go undesigned, but focusing on them can provide a great opportunity for innovation to flip from users accepting service terms to services accepting users' terms. Managing personal data can very often become a frustrating and confusing, if not overwhelming, experience. What a paradox, when most of our everyday technologies rely on personal data to operate! How can understanding and interacting with data become more intuitive and data management become a handy, 'right out of the box' experience that knows what you want when it comes to privacy. This operating system feature could be defined as a 'privacy by default' assistant. 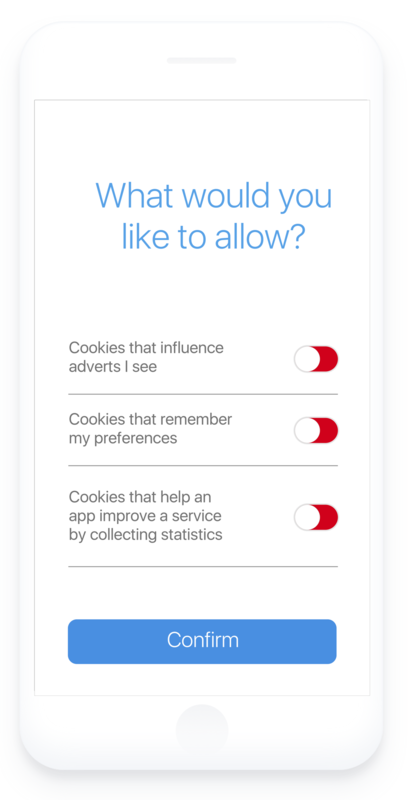 The assistant allows people to set up cookie preferences that will be applied across all apps and even before downloading on their device. The assistant explains what cookies can be used for in an educational way and these will be applied across all current apps and any new apps downloaded in the future. Through an overview panel, the data being accessed by a service and its value exchange is made clear, showing people how their service will be impacted. 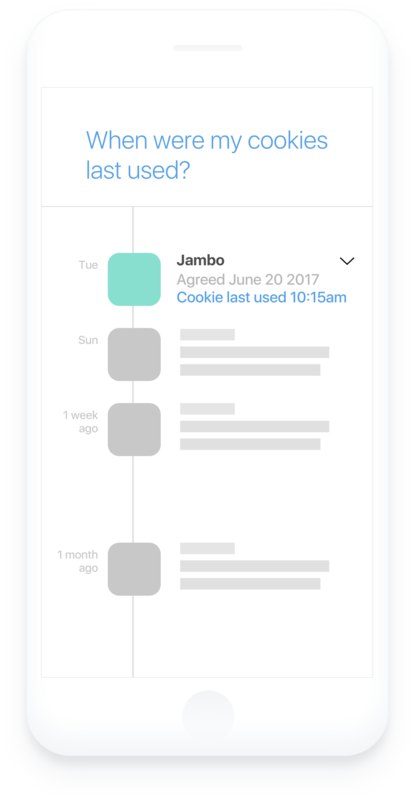 A timeline allows people to see when and for what purpose they gave consent and when the cookie was last used. They can also return to the control panel to edit cookie preferences at any time. Pop-ups appear to be a first step towards the establishment of a dialogue between people and their data. Using conversational AI, other teams have explored what could be a promising way to manage privacy.